The Royal Commission into Institutional Responses to Child Sexual Abuse has been granted its sought two-year extension. It will run for five years. That is appropriate. I predicted on the night Julia Gillard announced the commission that it would take five years to do its work. I am still worried about this extended federal royal commission – and that is not because I am a Catholic priest afraid of what the commission might discover in the bowels of my Church. I have long been an advocate for State assistance to the Church in this area, concerned that the Church could not do it alone. All church members, and not just the victims who continue to suffer, need light, transparency and accountability if the opaque injustices of the past are to be rectified. With the Commission's case study last month into the Melbourne Response, much of the media focus was on Cardinal Pell, as it was during the case study on the John Ellis case. For some time, many Australians, myself included, had wondered how Cardinal Pell was not in a position when an auxiliary bishop in Melbourne between 1987 and 1996 to know much, if anything, about the extent of child sexual abuse by his clergy and to do much, if anything, to address the issue. This evidence highlights two problems. First, there was the institutional problem of clericalism that infected the Catholic Church at least until 1996. A bishop as competent as (now) Cardinal Pell was able to be oblivious to the problem and to lack curiosity about how it was being handled in his archdiocese even though he occupied for nine critical years what most of us would see as the position of 2IC – second in charge. He was after all not just any auxiliary bishop. As an auxiliary bishop, he was already a member of the Vatican's Congregation for the Doctrine of the Faith, and thrice appointed Vatican Visitor to various overseas seminaries. It is not too worldly to observe that he was always known to be going places up the Catholic hierarchy, and he has. He was seen by the Roman authorities as one of our best. He was the Vatican's Australian 'go to' bishop. Second, there was the broader societal problem that in those days such oblivion was not restricted to high ranking, ever promoted clerics. As a community we did not know enough about the issue, and we did not do enough to respond. It was not just the Catholic bishops. The Royal Commission with time to conclude its task in a timely manner should be able to help the Church and the whole Australian community in its commitment to truth, justice, compassion, and healing. This brings me to my longstanding fear about a national inquiry of this sort in our Australian federation. Justice McClellan and his fellow commissioners have to do more to bring the states and territories to the table and to get real buy-in by all governments. The mainstream media have been very neglectful of this part of McClellan's challenge. This last week, we have seen the disastrous consequences with another royal commission which failed to take account of the role of state governments. The Royal Commission into the Home Insulation Program produced a report which is a dog's breakfast. The mainstream media has been oblivious to the report's glaring shortcomings, focusing more on the party politics of the blame game. That royal commission concluded that the Commonwealth when administering the program should not have relied on the states to implement their own occupational health and safety laws, their own employment training requirements or their own building regulations. And yet, the Commission went on to suggest that the Commonwealth should have considered having the states, rather than the Commonwealth, implement the whole program. The regrettable deaths of the four young men working on the Home Insulation Program were the result of problems in administration at the Commonwealth and State levels and in delayed, poor communication between Commonwealth and State officials, especially in Queensland where three of the four men worked and died. In reaching his bizarre conclusions, the royal commissioner received little help from government. He observed: 'With very few exceptions, the public servant witnesses chose not to make any submissions. Quite extraordinarily, in my view, the Commonwealth chose not to make submissions when given the opportunity to do so. It made some desultory submissions in reply to the submissions of the pre-existing insulation business owners and the State of Queensland.' A royal commission set up to investigate only the Commonwealth Government, especially when receiving inadequate co-operation from the Commonwealth Government, was bound to provide an inadequate and flawed report. When investigating child abuse, the Commonwealth royal commission needs to be very attentive to, and scrutinising of, state governments, especially their police forces and their child welfare departments. They are the key agencies which intersect with institutions where child abuse has occurred or is likely to occur. Justice McClellan will not be able to provide a national blueprint for the future protection of children unless there is real and forced buy-in by the states. The reporting of, investigation of and handling of complaints about care concerns, abuse or neglect of children cared for in the custody and/or under the guardianship of the Minister. These are the very matters within Justice McClellan's federal remit – agreed to by all governments, including South Australia (see the terms of reference). There was not the national political will to insist that the corrupted South Australian agency be subjected to the same national spotlight as has been, and quite rightly, Cardinal Pell. McClellan now has the time and the money to do a comprehensive report. State police forces and state child welfare agencies must be put under the national spotlight, and state governments need to make detailed submissions as to how they can improve their agencies for the protection of children. Otherwise McClellan risks becoming another Hanger. Frank Brennan SJ AO, professor of law at the Australian Catholic University, is currently in the USA as the Gasson Professor at Boston College. Image credit AAP/Joe Castro via ABC News. Cutting through legalese, I await some Royal Commission trenchant call for accountability from the overlooked psychiatric community, given bishops had oft received advice re clergy abuse from such professionals. As usual...clear & focused by Frank....perhaps a related topic to pursue in this context...an apparent 'missing inaction' syndrome of State Education Departments in Royal Commission scrutiny of sexual abuse of minors ???! Frank Brennan is right to assert that "Justice McClellan and his fellow commissioners have to do more to bring the states and territories to the table and to get real buy-in by all governments." But I'm not sure that he properly understands the reasons why the states and territories have not been "coming to the table". It is not merely a function of the mainstream media being "neglectful of this part of McClellan's challenge". Ask yourself why, for example, the Victorian Parliamentary inquiry that led to the Betrayal of Trust report was restricted to churches and charities - and was explicitly barred from examining the role of state government and institutions run by the state. Frank Brennan advocates for the church to fight survivors legally and advocates for the Church to use the courts to test survivors evidence. In some areas he is an excellent commentator but his loyalty to the Church makes his Eureka Street articles somewhat less than survivor focussed. He should be a good ally but may need to meet and listen to more survivors to jump off the legal framework and become a real advocate for change. I admire his intellect and speaking out on this subject greatly. As a survivor if Frank was to meet with us and support our journey he would be one of the great Jesuits in a fine tradition. It is not unusual in any institution for an individual member to be unaware of potentially damaging events. As one moves upwards in the institution with the acquisition of increasing levels of responsibility he/she becomes aware of things previously not within the everyday working of the institution. (note the unsuspected discoveries made by every incoming government of those things to which they were not privy while in opposition despite attending every siting day in the parliament). I have no difficulty in accepting and believing fully that a number of our bishops including Cardinal Pell (and indeed the saintly john Paul II) had no idea of the depth of the problem until they reached a level which admitted them to the "inner sanctum". Once Cardinal Pell did reach that level he took legitimate steps to address the problem without any previous action to guide him from any institution, religious or secular. Healing will not occur without love and forgiveness - Christ taught that from his torture on the cross when he prayed, "Forgive them Father. They know not what they do". This has to be the greatest of all his teachings. It is the essence of love described by him as the greatest commandment. Time to find again the love of the true Church and forgive those who did not understand. Eureka Street has devoted very many articles to the issue of child sexual abuse by the Catholic clergy, both in Australia and around the world. I judge that its coverage has largely been sound, fair and reasonable. However, I am puzzled by the narrowness of its focus. After doing some searches on the ES homepage, I find it difficult not to conclude that if the abuse of children does not involve the Catholic Church, then it draws little, if any, attention. Why has no ES writer put fingers to keyboard to comment on the scandal in Rotherham, England? I would have thought 1,400 children abused and a massive cover up were newsworthy. Locally in April this year, a Muslim cleric ‘married’ a 26 year old man to a 12 year old girl. If ES ran an article on this, I missed it. There are also alarmingly high rates of STDs found amongst children in Aboriginal communities. This obviously comes from the criminal abuse of children. Again, I can find no article on ES dealing with this. Is ES truly concerned about all children, or is there an anti-Catholic bias driving the agenda? I am sorry that Richie thinks that my “loyalty to the Church makes (my) Eureka Street articles somewhat less than survivor focused”. I am more than happy to meet with victims like Richie if and when invited (though my presence in Boston for this academic year will delay such further meetings). Be assured that I am very concerned for survivors, and I want the truth to out, and the royal commission to achieve its intended purpose. But I see the commission and government agencies taking some wrong turns, risking an outcome similar to the pink batts inquiry. Let me give one very clear example of the Royal Commission’s failure to get buy-in by State agencies. Consider the Catholic Church’s “Melbourne Response” and the Victoria Police. Last year, the Victoria Police gave evidence to the Victorian parliamentary inquiry and ran a media campaign suggesting they had long been dissatisfied with the Catholic Church’s attempt to come to terms with child sexual abuse in its ranks. But that Inquiry found: “The Catholic Church established the Melbourne Response (in 1996) in consultation with Victoria Police and the Victorian Government. The Assistant Police Commissioner and the Solicitor-General each approved and signed off on the process. There was no indication that at anytime before April 2012 Victoria Police told the Catholic Archdiocese of Melbourne that it had any concerns about the Melbourne Response. It is clear that Victoria police paid inadequate attention to the fundamental problems of the Melbourne Response arrangements until relatively recently in April 2012 and that, when they did become the subject of public attention, Victoria Police representatives endeavoured quite unfairly to distance the organisation from them.” When conducting its case study on the Melbourne Response, the Royal Commission did not see fit to call any Victorian police officer to give evidence about the police perception of the Melbourne Response (whether in 1996, April 2012 or in 2014) nor about the relationship between the Catholic Church and the police (whether in 1996, April 2012 or in 2014). For future protection of children, it is essential that the relationship between the church authorities and the police be clarified, understood, publicised and improved if it can be. It is not good enough just to allow State agencies the option to stand by as observers in this process, especially when they have been players, and more especially when as in this case the Victorian Police had tried to move all blame onto the Church when they had co-operated closely with the formulation of the protocols. The Royal Commission tabled a very extensive list of exhibits but very few from the Church and the police about their relationship. No exhibit from the Church or the police indicated in any depth any Victorian police concerns about the Melbourne Response. There was tendered a letter from Assistant Commissioner Gavin Brown, Victoria Police, to the Catholic Church, 21 May 1996 making suggestions for modifications to the proposed protocol as to how to deal with complaints to police. He wrote: “My proposals would, I believe build on the effective working relationship developed between Victoria Police and the Vicar General’s Office.” Then there is a letter from the Church’s lawyers to Assistant Commissioner Brown, dated 18 October 1996, suggesting a formula of words about the relationship to be inserted in the instrument for the appointment of Commissioner Peter O’Callaghan QC: “The Commissioner immediately upon there being made or referred to him a complaint of sexual abuse (which may constitute criminal conduct), shall inform the complainant that he or she has an unfettered and continuing right to make that complaint to the police, and the Commissioner shall appropriately encourage the exercise of that right.” Three days later Brown responded saying that the amendment “seems eminently helpful”. Then there is the Victoria police media release of 30 October 1996 stating: “Victoria Police have welcomed today's announcement of a series of initiatives in response to sexual abuse by priests, religious and lay people under the control of the Catholic Archdiocese of Melbourne. The announcement is seen as a positive step in tackling this very sensitive community issue. Police have also welcomed the appointment of Peter O'Callaghan QC to the position of Independent Commissioner. They say they are pleased to see the appointment of the Commissioner will not in any way conflict with police investigations or actions in respect to sexual abuse. Police are hopeful that the appointment of the Commissioner will assist identify those engaging in sexual abuse, and result in them being dealt with by the law.” There is then a gap of 16 years, and then a file note from the Church’s Independent Commission about a meeting on 17 September 2012 with Victoria Police to discuss the problem of reporting abuse to police when the complainant does not want to be identified. I am one citizen who expected the case study into the Melbourne Response to lay bare the real relationship between the Church and the police. It did not. It should have, for the good of kids in the future. We needed to hear directly from the Victoria Police about their concerns with the Church, when those concerns came to the fore, when they were expressed to the Church and its lawyers, and what was the Church response. After days of televised investigation into the Melbourne Response we are none the wiser. The issue of Church reporting to police when a complainant does not want to go to the police remains confused and contested. If Justice McClellan’s final report on the Melbourne Response is based only on last month’s “Case Study” with evidence only from the Church and from victims, it will suffer the same structural defects as the Hanger Commission not having heard from all the key players. The State agencies have to be brought to the table. If they’re not, those citizens who are survivor focused will be left weeping. Re John Frawley " By their works shall you know them" ... " Forgiveness without justice is a cheap Grace" Deitrich Boenhoffer John what matters more is once knowing the situation what they did. The amount of hurt that "Mack Trucker Pell" has caused by his Royal Commission appearances is immeasureable. The Church needs to stop defending its "patrimony" and in humility setlle with survivors and be open transparent and accountable. It is now time for a new dawn and a new ministry with a "poor church for the poor". We can only forgive the power brokers when they act with justice and not just words. "This evidence highlights two problems. First, there was the institutional problem of clericalism that infected the Catholic Church at least until 1996." Clericalism in the Catholic Church is just one symptom of an underlying flaw in all three major 'Bible" religions. The assumed belief, at least in practice, that 'we', whoever we happen to be, are God's 'Special' people, and that those 'others are wrong. This leads to excessive protection for 'our side', at the expense of whoever seems to impugn or challenge the organisation. Only when all can accept that God is Constant, Universal, and even-handed, will Justice, Truth, and Peace flourish. One cannot disagree with Fr Brennan's reasoning. His assessment of the HIP Royal Commission shows this. The need to ensure that State and Territory authorised are involved and scrutinised is of the utmost importance. All State and Territory Education jurisdictions must also be included in the scope of the Royal Commission. personally, I am glad and heartened by what he has to say. John Frawley nicely highlights the point I was trying to make. 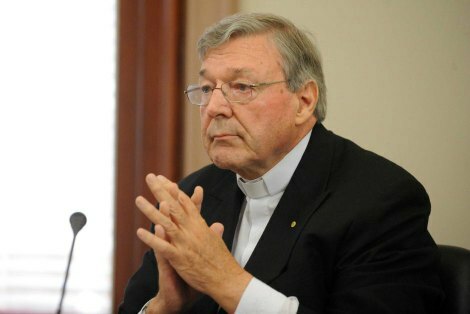 He says, “I have no difficulty in accepting and believing fully that a number of our bishops including Cardinal Pell (and indeed the saintly John Paul II) had no idea of the depth of the problem until they reached a level which admitted them to the ‘inner sanctum’.” What we Catholics have to accept is that at least until 1996 we were part of a social institution so structured that not even one as savvy as Cardinal Pell (while a priest in Ballarat where abuse was rampant, while rector of the Melbourne seminary when abuse in some of the Melbourne parishes was frequent, and while auxiliary bishop for nine years when clerical sexual abuse was being discussed in the mainstream media) was expected to know or do anything. The Church has not judged him to have failed in his duty as a bishop for knowing and doing nothing before 1996. The Church has promoted him as one of our finest bishops who could not be expected to have known or done anything before 1996, and who in fact did not know or do anything before 1996. We have to accept that the institution until at least 1996 was structured so opaquely as to work against the interests of vulnerable children. The inner sanctum of a diocese could be so fortified and so exclusive as to exclude the eyes and ears of a competent auxiliary bishop. That fortification was not put in place and maintained with a care for children. It was maintained without sufficient regard for the well being of vulnerable victims whose interests were secondary to the name of the Church and the protection of its clergy. This is the shocking moral consequence of Cardinal Pell’s evidence, and now we all as Church must accept the blame, committing ourselves to transparency and accountability in the Church so that this sort of thing can never happen again in the name of Christ who proclaimed, “Let the little children come to me, and do not stop them; for it is to such as these that the kingdom of heaven belongs.” We, and not just the deceased bishops who occupied the inner sanctum, must accept responsibility for the harm suffered by those who would not have suffered but for the existence of such a fortified, exclusive inner sanctum. Good morning Richie, While I have great admiration for Bonhoeffer who, I believe, was a great Christian I don't believe forgiveness as promulgated by Christ was conditional on justice (retribution for the wrong). True forgiveness is not conditional. That is what makes it so difficult to offer, difficult because the sufferer of the injustice understandably feels that he/she deserves to receive rather than to give, when they have already lost what they should never have been expected to give or to have taken from them. I do understand the great sadness and that healing may never come during an entire lifetime. What I also believe, however, is that without forgiveness, healing is impossible. Richie. I should have added that I am sure Cardinal Pell is a very good, very human, very faithful and highly educated man. Unfortunately, the poor bloke has bugger-all people skills. Frank and John Thank you for your responses both of which were compassionate and caring. I would like to take some time to properly frame a response which is respectful of the time you both have taken in commenting. Frank again in all my comments on your articles I do not lose sight of your care compassion and legal intelligence. We need people like you advocating strongly and your position within the Church and your willingness to speak out is in the greatest tradition of Ignation spirituality.